1. 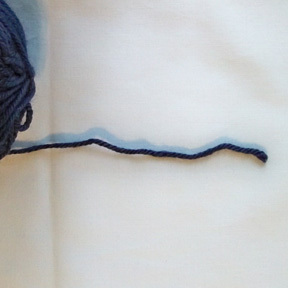 Start with the tail of yarn/thread on the right (or in your right hand) and the yarn/thread coming from the ball on the left (or in your left hand). 2. 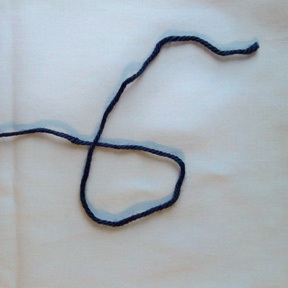 Bring the tail up and in front of the end of yarn/thread that is coming from the ball of yarn/thread to make a loop. 3. 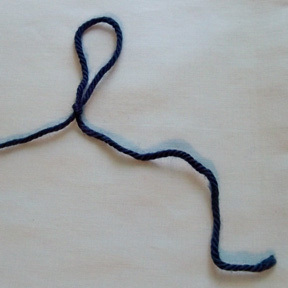 Place the tail behind the loop you just made. 4. Grab the tail that is behind the loop. 5. Pull the center of the tail through the center of the loop, making sure the end of the tail stays behind the loop and doesn’t go through the loop. 6. Tighten the knot, but not too tight. 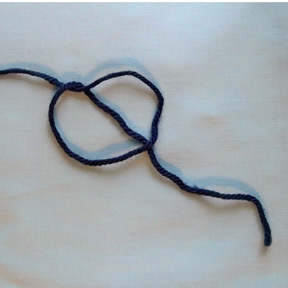 The loop that is formed above the slip knot is adjustable. 7. 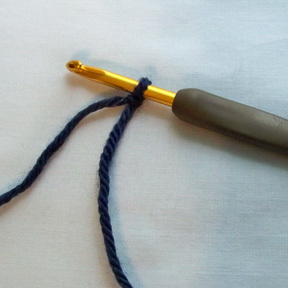 Place the loop formed above the slip knot on your crochet hook. 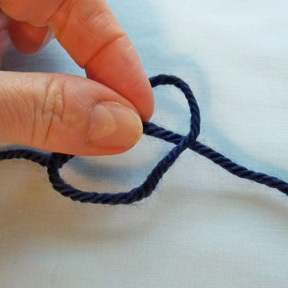 Tighten the loop until it is snug around the hook, but not too tight. 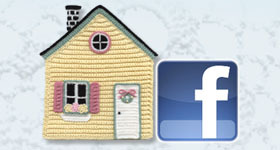 Now you’re ready to make your chain to begin your crochet project! Weaving in the tail at the center of the motif. 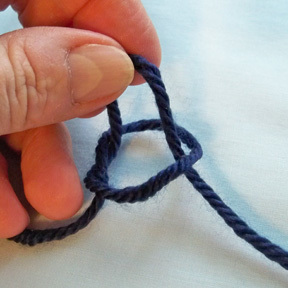 After learning to make your slip knot correctly, you may want to make something in which you can close that center hole. 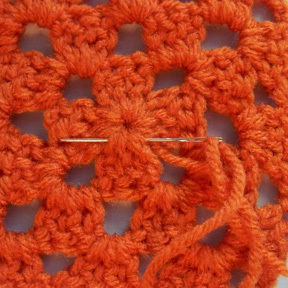 Check out the simple 3-Round Granny Square pattern on our “Free Patterns” page to practice making your slip knot correctly and pulling on the beginning tail to tighten the center hole.